Monty Don and Ann-Marie Powell take a look at the conceptual show gardens, Rachel de Thame looks at the Festival of Roses, and Alys Fowler and Joe Swift visit the Summer Gardens. Monty Don, Joe Swift, Rachel de Thame, Alys Fowler and designer Ann-Marie Powell continue their tour of the RHS Hampton Court Palace Flower Show. 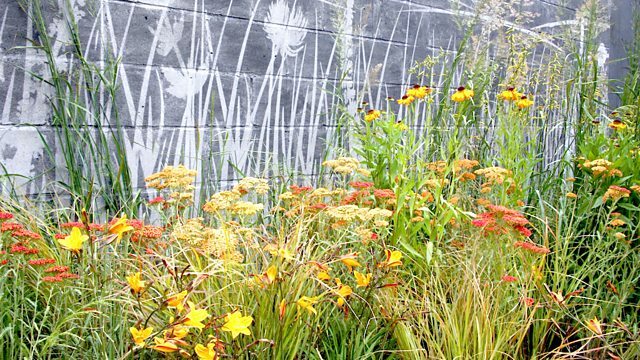 Monty and Ann-Marie take a look at this year's conceptual show gardens, which defy conventional garden design in favour of spreading their own personal messages. Rachel looks at the Festival of Roses - which, this year, is dedicated to the flower's long associations with romance. Meanwhile, Alys and Joe visit a new category of Summer Gardens with ideas on how to add style to our outdoor spaces. Lepidopterist Paul Allen has created a small garden in the Summer Garden category at Hampton, designed to promote the conservation of both native and tropical butterflies. The programme also visits Bournemouth where the borough council are creating a show garden depicting the town’s Victorian Gothic heritage.